The majority of people who email me ask: ‘How do you create such impressive photos?’, “What is HDR?”, “What equipment is needed?” The creation of this blog is going to allow me to try to answer all of these questions. 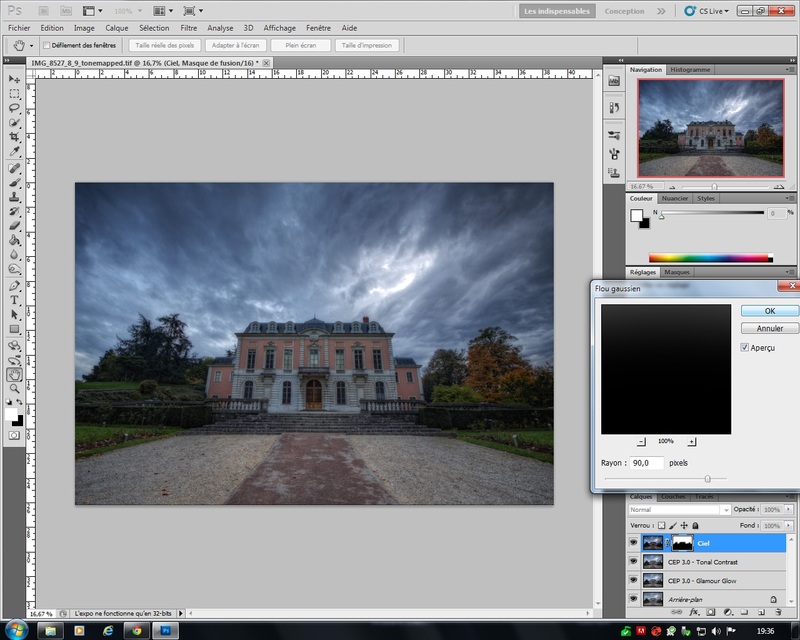 And this fits nicely, because what better way than an HDR tutorial to bring to life my all-new blog! I will focus this article around 3 main parts. 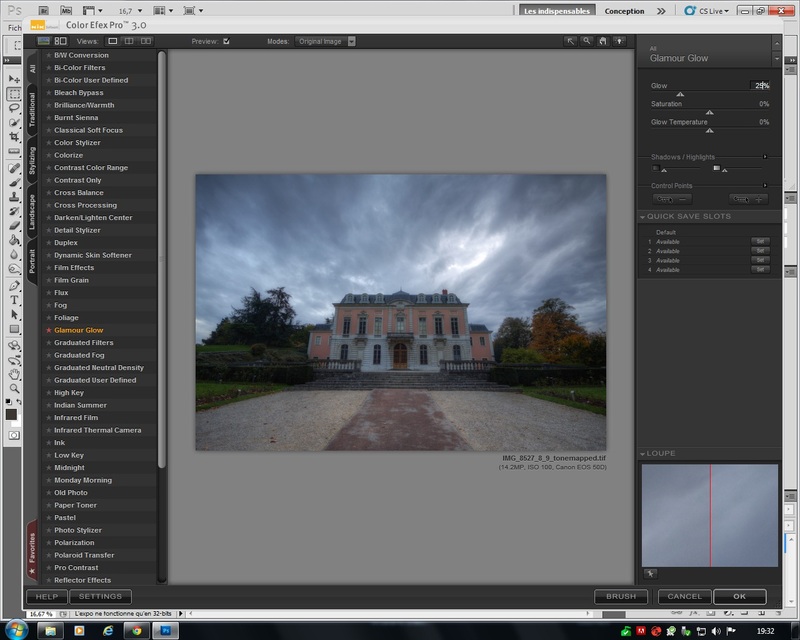 A few generalities around photography and HDR, then I will focus on the HDR process, using Photomatix, finally, I’ll finish with a few ideas for finishing your images in Photoshop. In the expression ‘HDR photo’ there’s ‘HDR’ of course, but there’s also and above all ‘Photo’! This seems obvious and yet…and yet you just need to have a quick look around the internet to realise that there’s often a lot of HDR but not really many photos! I stress this point in particular because HDR is far from unanimous in the world of photography and certain people even think that from the moment that HDR is used on a photo, it becomes bad, unbearable to look at, ridiculous and so on. That is, of course, not our opinion, so please try not to justify our opponents’ arguments, and instead try to make beautiful photos. To all of you who read these words and who start to become interested in this technique, keep in mind that HDR itself does not make a good photo, HDR doesn’t make up for bad composition or bad framing, HDR can’t make an ordinary scene look ordinary. 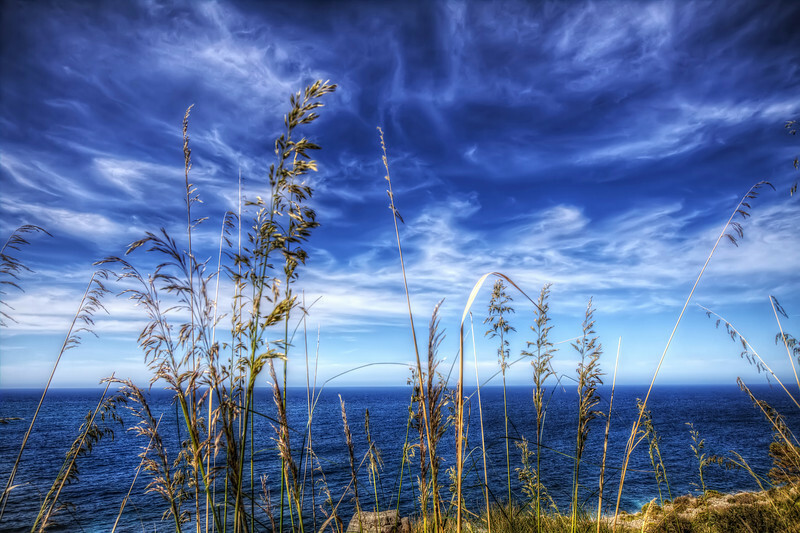 But to return to the subject that interests us here: HDR, what is it exactly? 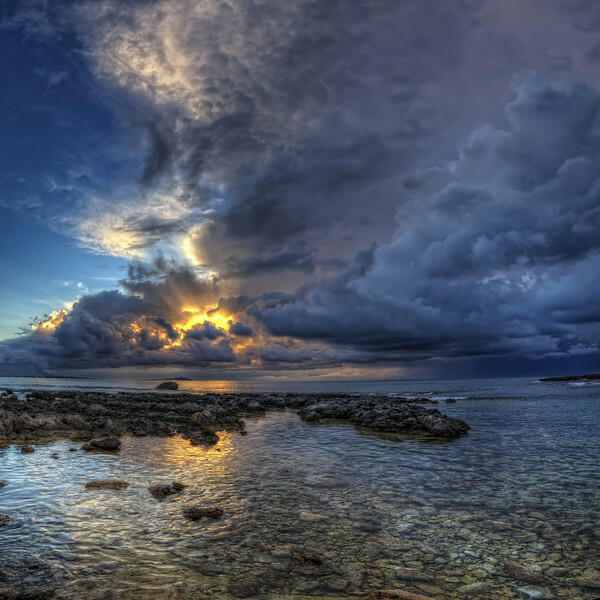 The goal of HDR is to overcome a ‘deficiency’ of camera sensors that are unable to, under certain high contrasting scenes, capture all of the information in a scene. Imagine you want to photograph a building with a cloudy, but very bright sky behind. If you compose your camera to have the front building visible, the sky will certainly be overexposed. Instead, if you expose correctly for the sky, the front of the building will be very dark. It’s classic! The first goal of HDR is to overcome this limitation and have a photo in which the sky and the front of the building are correctly exposed. How is that possible? 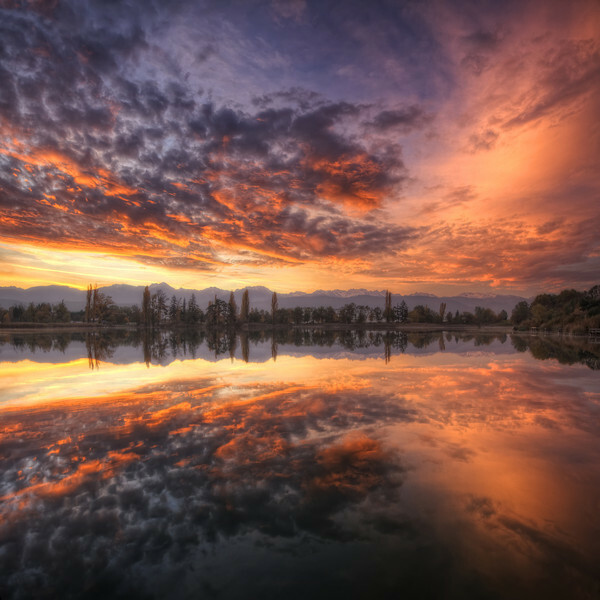 Well, simply by photographing the same scene three times at 3 different exposures. We will have three images: one normally exposed where the sky will be too bright and a dark building front, another with sunny skies and a very dark building front, and the last one with the building front correctly exposed and the sky too bright. 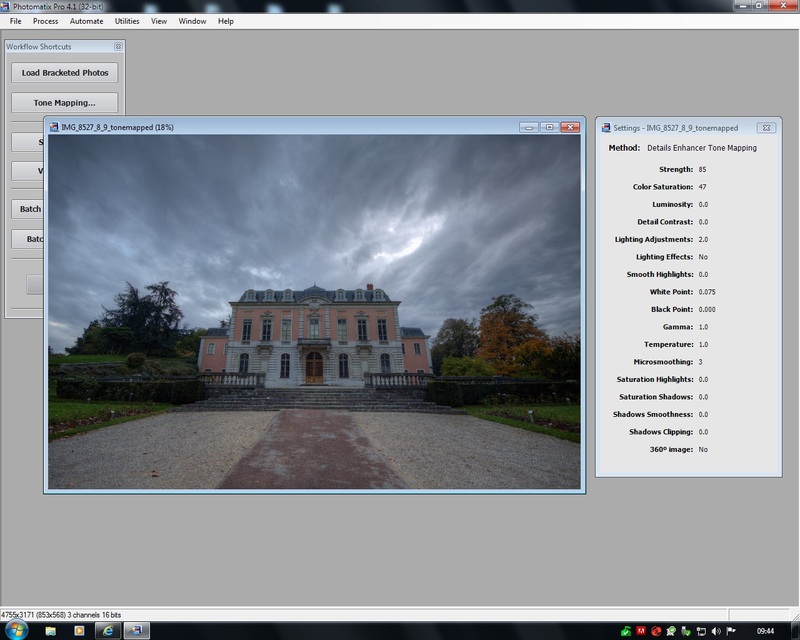 HDR permits, with the help of software, to create a single 32 bit image from the 3 earlier exposures. The advantage of this HDR image is that it contains all of the dynamic information of the three original brackets, which is where the name ‘High Dynamic Range’ comes from. Another advantage (or disadvantage for some), is that this HDR image contains so much information that it allows for much more advanced treatments and provides the most unbelievable effects (not possible with a normal picture)! In most cases a range of-2EV to +2 EV is enough to capture the entire dynamic range of a scene and hence 3 photos (-2EV; 0EV, +2 EV) should suffice in most situations. Of course nothing prevents us from taking more pictures to get more exposures! Before going any further, and in order to be on the same wavelength for the rest of the article, here’s some photographic vocabulary to learn before launching yourself into HDR photography. Aperture: it is a device that opens and closes more or less to adjust the amount of light that goes through the lens of the camera when triggered. The more light that enters the picture the clearer it is and vice versa. We speak of “width” when we adjust the aperture. The Shutter: This is the mechanism regulating the exposure time, ie the time during which light reaches the camera sensor. The longer the shutter is open, the clearer and brighter the picture. We use terms like “shutter speed” & “exposure time” here. Aperture Priority mode: we have seen that the aperture setting allows more or less light in during a given time. A f/3.5 there is a lot of light while at f/22 the opposite is true. The “Aperture Priority mode” is a setting on digital cameras that allows you to set the aperture and force the shutter speed to be the only variable to change. For HDR it is important to always use a fixed aperture. ISO: is the sensitivity of the sensor of the digital camera, in HDR always use the lowest sensitivity, usually 100. Bracketing: A technique to take three pictures in a row with different exposures. The first is exposed normally, the second is underexposed and the third overexposed. The difference between these three pictures is selected by the photographer and is generally 2EV. In theory, any device that allows manual settings can be used to make HDR photos. In practice it is better to equip yourself with a camera that allows “auto-bracketing” and “Aperture Priority Mode“. For Date formats I suggest you shoot in RAW mode (more flexible). Concerning equipment, a tripod is not essential but it will be difficult to work under low light conditions without one. For software, many options are available to users. 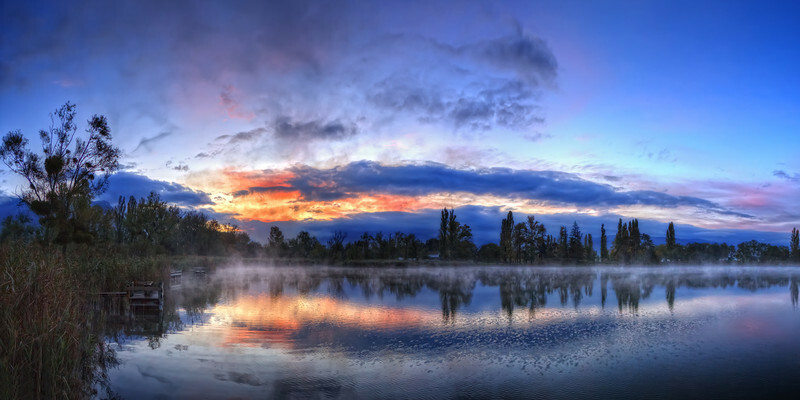 I personally use Photomatix (you can get a 15% discount by using the StrangeLands code) to create my HDR. I also use 2 Photoshop plug-ins with – “Nik Color Effex Pro” and “Noiseware Pro” to improve the rendering of the file from Photomatix. It is precisely this famous software that I will now talk about. As you can see in the first picture the sky is not bad while the castle and especially the trees on both sides are really underexposed. On the second shot will be able to recover information for the sky but then the castle itself is in complete darkness. Finally the last shot is the opposite, the castle and the surrounding trees are visible while the sky is unusable because it’s overexposed. 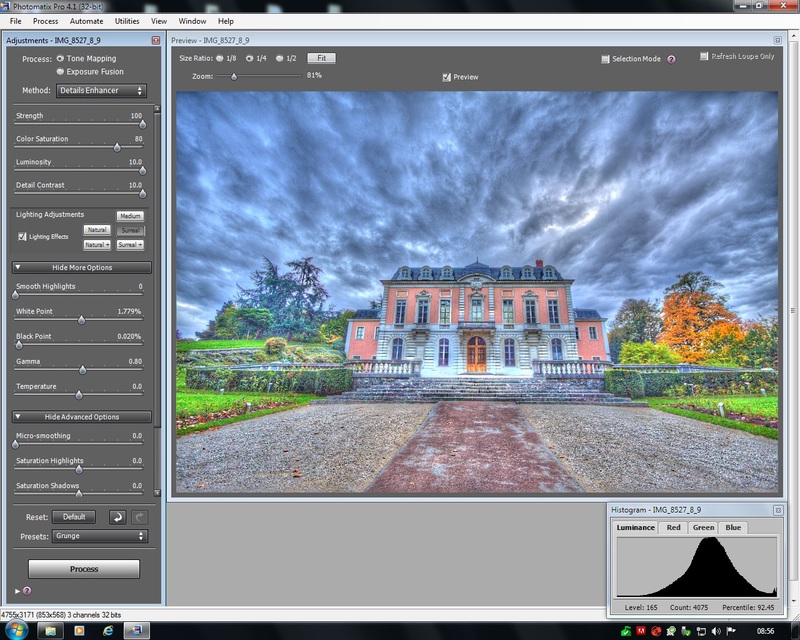 This is the time to use Photomatix 4.1! When you launch the software, there is a menu on the left. Click ‘Load Bracketed Photos’. A window will open, click ‘Browse’, select your 3 pictures and click OK.
Once you’ve clicked ‘OK’, a new window will appear. The first option “Align source images” allows you to align the different pictures. If like me you have shot the brackets handheld, remember to check this option. If you think you have moved a lot, check “by matching features“. 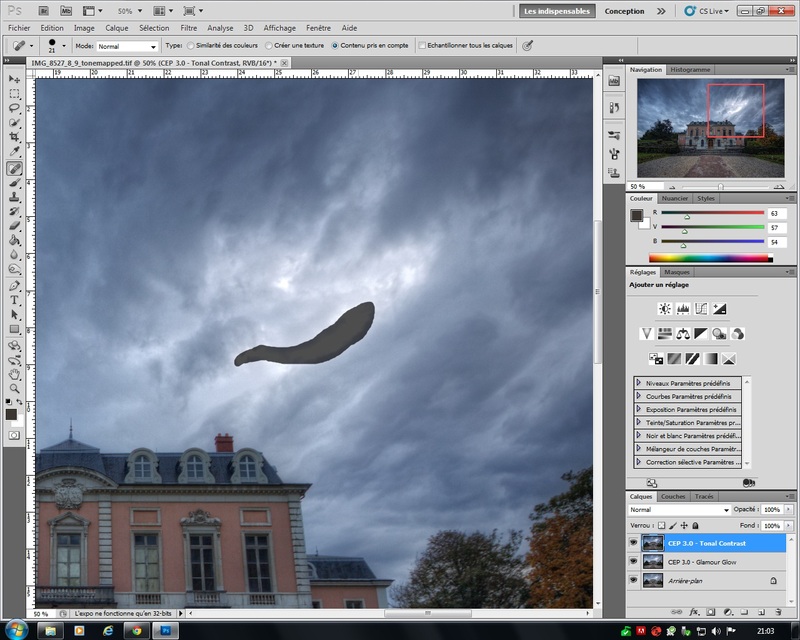 The second option: “Remove ghosts” is useful if you have moving elements in your photo: pedestrians, cars etc. 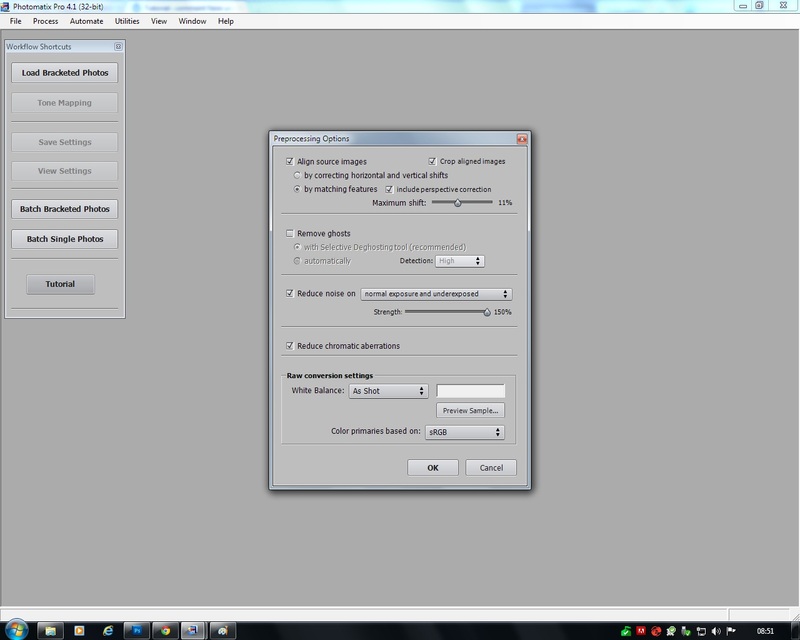 … Use the “deghosting tool” to select and remove objects in motion, it is a very useful as option! “Reduce noise” reduces noise on the photos. I always leave this option checked. But you may very well reduce the noise at another time with another software. “Reduce chromatic aberrations” reduces chromatic aberration sources on the pictures. Again you can let Photomatix do it or reduce these aberrations with other software later on. 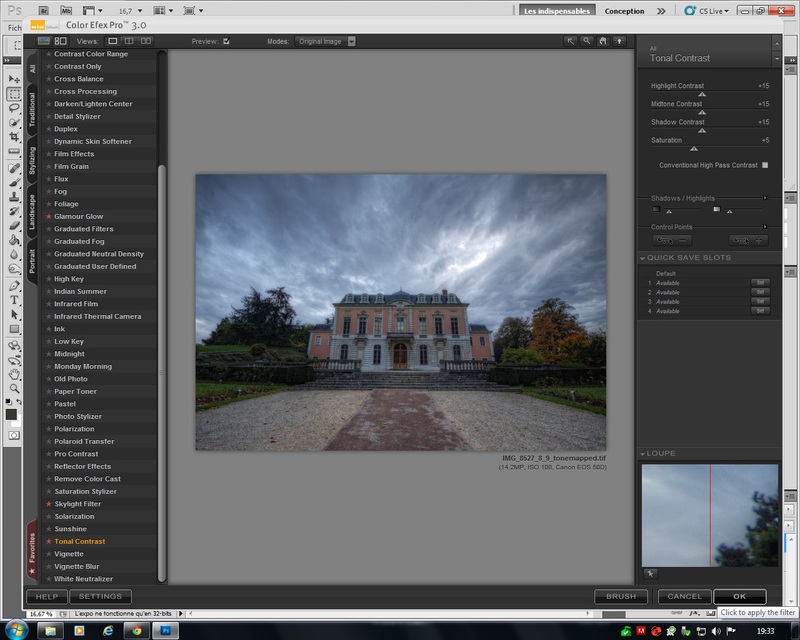 Finally, if you use RAW files directly in Photomatix you have one last option: “Raw convertion settings” that can select a custom white balance, very useful if your balance has changed from one shot to another, for example . As you can see on the left there is a column with all the settings and to the right a preview window that allows you to view, in real-time, the effect of each parameter. For our example here we will detail each settings one after the other from the top. 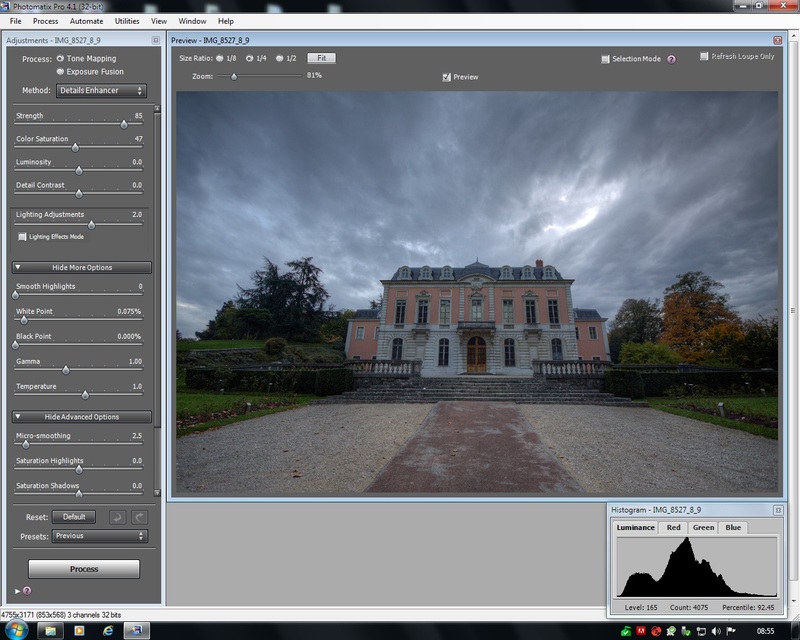 To start we will use “Tone mapping” for the “Process” and “Details Enhancer” for the “Method“. Personally I never change these two parameters. Strength: This is the option that defines the strength or power of the effects made to the photo. Obviously the higher the number the stronger the effect. In most cases I use between 70 and 90 for this option. For example, on this picture I chose 85 as I wanted to keep the chaotic effect of the sky without exaggerating the building and tress. Color saturation:This manages the color saturation. I don’t know enough to advise you on how to use this. Of course it is up to you depending on the photo, but be aware that excessive saturation doesn’t gives a really natural look. Luminosity: This is an interesting option! Move the slider to the left to make the image very dark and contrasted with more natural rendering. Set the slider to the right and the image will be very clear, without contrast and really not natural at all! The greater the Strength the more exaggerated this effect will be. There is no rule here, it’s best to try to find the right balance. For a photo that is suffering from the famous “halo” effect specific to HDR (unsightly white light around an object) you can try to move the slider to the right a little to alleviate the problem. For the photo I’m using here I left it at 0. Detail contrast: I personally do not touch this parameter either, which tends to darken and add contrast to the photo. Again I left it at 0 for our example. Lighting adjustments: this is a very impressive setting, basically, to brighten dark areas and darken the light areas. Personally I do not check “Lightning effect mode” which reveals presets instead of the slider. These presets go from “natural” to “surreal,” but lack the necessary subtelties for my taste. 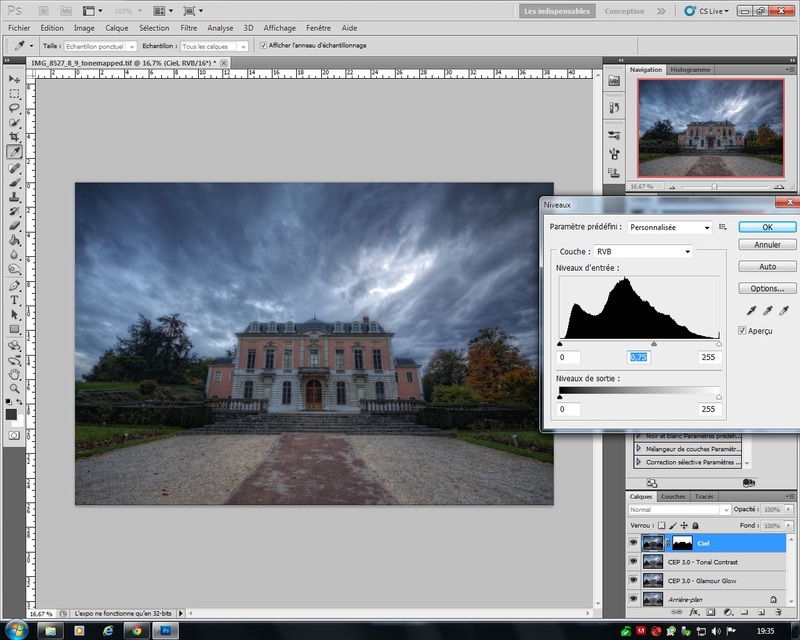 So I use the slider again and it’s better to be rather soft if you want to avoid creating an overly coarse image. Moving the slider to the left lessens the difference in brightness between light and dark areas but at the cost of creating an unnatural look. Conversely, the more to the right the slider is the more natural and contrasted the image. I chose a setting of 2 for our photo. White point et Black point: I generally leave the “Black Point” as left as possible and I mostly play with the “White Point”. But beware, if you have areas a little over-exposed, “White point” will exacerbate the problem! Again you have to try different combinations! Micro-smoothing: if you have a lot of noise on your image, you can try to drag the slider to the right … but the picture becomes more flat and bland. You must save your photo, I advise you to make the file a “16 bit Tiff” in order to post-process your photo more easily. In the special case of “pseudo HDR” or in other words, HDR from a single photo. Of course there is no limit to the amount of post-processing with Photoshop you do and you remain in control of what you want to do with your photo. 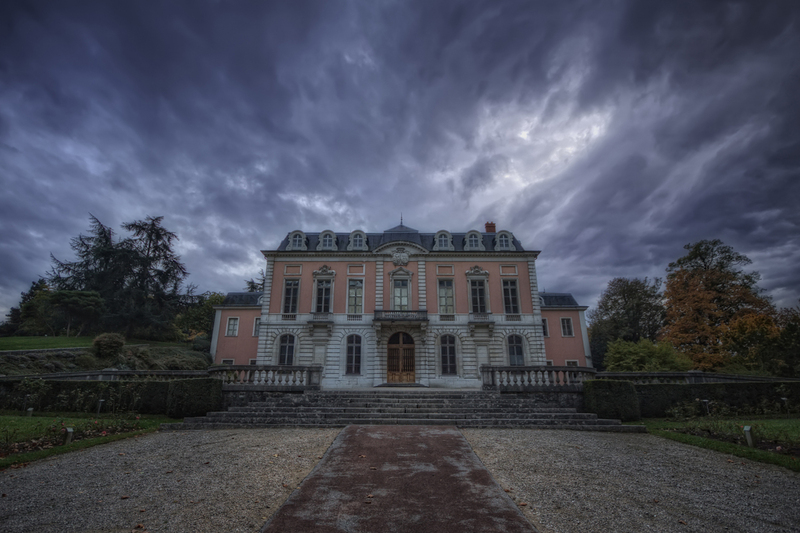 In this tutorial I will just give you some pointers to give more dynamism to your HDR shot. I choose the filter “Glow Glamour”, then I choose “Glow” at 25% and I don’t touch the rest. The picture is now more in-depth but to add a more dramatic side I’ll darken the sky. 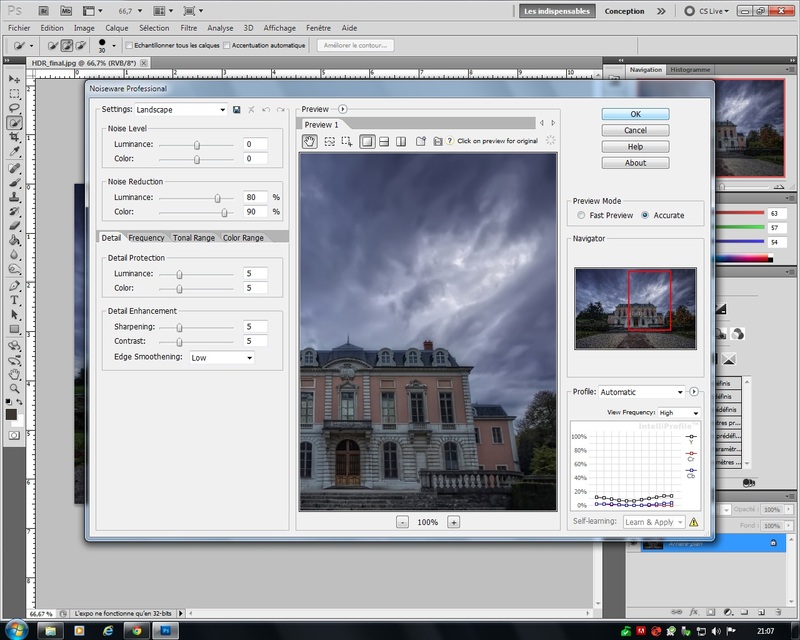 Using the tool “Magic Wand” I select the sky, I duplicate my layer and I add a layer mask. I’ll use the menu “Image / Adjustments / Levels” to darken the sky at 0.75. Then to make the boundary between the area I just darkened and the rest of the photo more harmonious, I select the layer mask and I apply a Gaussian filter to 90. I then use the same method with the area of gravel at the bottom of the stairs which is also a bit too bright. The tutorial is finished. This is a first draft, and hopefully (thanks to your comments) can improve over time. 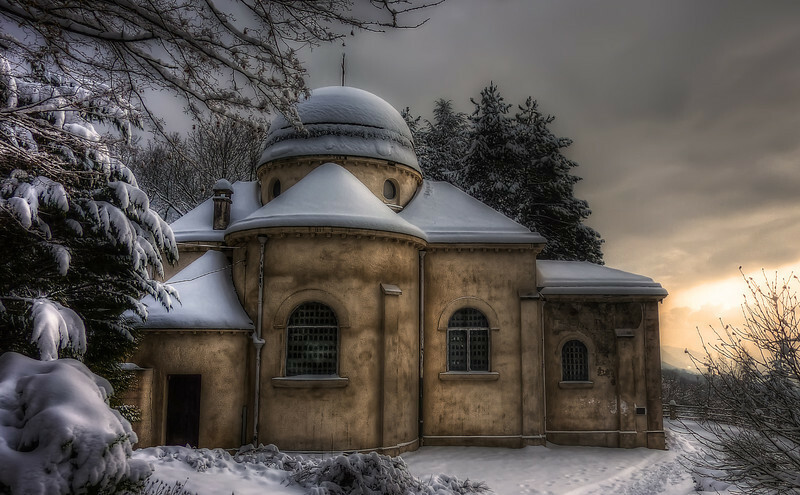 To see more of Girolamo’s HDR shots, subscribe to him on facebook, flickr, or visit his website. Well done tutorial with good, practical advice. C’est bon!